According to Taco Bell, they sold about $1 billion worth of $5 Box combo meals in 2017. By the math, that meant that they sold about 200 million $5 Boxes throughout last year. With roughly 6,000 locations here in the US, that averages to around 33,000 $5 Boxes sold per location. The $5 Box has been a long-running promotion for the chain. 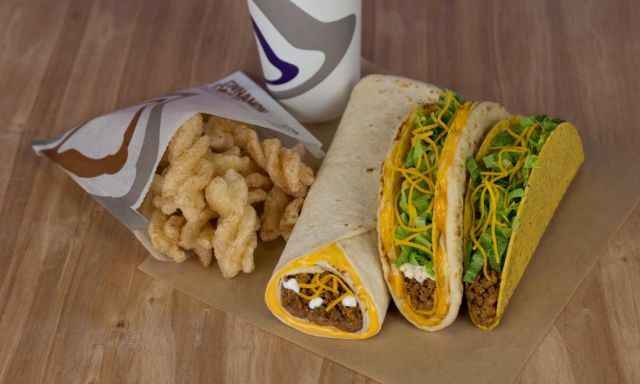 The $5 Box typically features the chain's latest limited-time menu item along with three other menu items (lately, a Doritos Locos Taco, a crunchy taco, and nacho cheese and chips) plus a drink for $5. There's also a $5 Cravings Box available that's more regular and doesn't swap in the latest menu item every month or so. It currently includes a Cheesy Gordita Crunch, a Beefy 5-Layer Burrito, a crunchy taco, Cinnamon Twists, and a medium fountain drink. The numbers should mean good news for value-conscious $5 Box fans as it points to the them continuing to stick around.